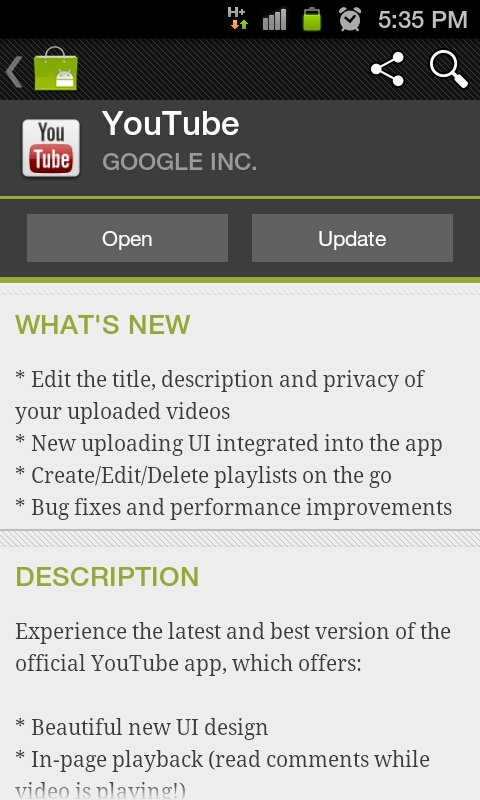 Youtubers, get over to the Android Market and update your favorite app. If you wanted more control of your previously uploaded videos, you will be pleased to know that you can now edit titles, descriptions and privacy of them. You can also create and edit playlists as well as enjoy a new UI for recently recorded videos that need publishing. Seems like fairly minor stuff that simply added more polish to an already solid app, but we always love to see these once-native apps continue to get better. Motorola Plans to Hand Out Photon 4Gs for the Entire Month of August in a Daily "Lighting Hour"